Sadhu Sundar Singh passed a crowd of people putting out a jungle fire at the foot of the Himalayas. Several men however were standing, gazing at a tree, the branches of which were already alight. 'What are you looking at?' he asked. They pointed to a nest of young birds in the tree. Above it, a bird was flying wildly to and fro in great distress. The men said. 'We wish we could save that nest but the fire prevents us from getting near it.' A few minutes later, the nest caught fire. The Sadhu thought the mother bird would fly away. But no! She flew down, spread her wings over the young ones, and in few minutes was burnt to ashes with them. A woman with a baby on her back was running away from a bush that caught fire. She was not fast enough and the fire caught up with her. Oh! The baby must not die. She frantically dug a hole with her bare hands, put the baby inside, slept on the baby and in no time was burnt by fire. It was a time of war in Korea and a pregnant woman was running for her dear life, trying to escape from the North to the South. Labour pains came on her and there on the field, covered with snow, she bent herself and had her baby. She was thinly clad but didn't want the baby to die. 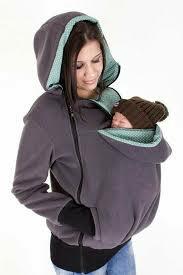 She removed whatever dress was on her to wrap the little baby. The snow was too much for the naked woman and shortly later, she died. The child did survive. A missionary couple heard him crying as they passed by the field, and took him up into their home to care for him. A man once said to his wife, ''That child must be left to die on the dunghill and not brought into the house again. The herbalist said he is a curse to the family. If you bring the child in again, then you will have to go. The choice is yours.'' perhaps he has his reasons. Since this child was born, it has been one sickness or the other. Sometimes he would faint or go into coma; and when all hope is given up, he is thrown into the dunghill. Afterwards, a faint cry would be heard and the mother would rush to take him into her embrace again to nurture the life still in him. Well, the father was fed up of the repeated antics of this curse. His purse had been drained by this constant attack, hence his refusal to give the boy another chance. It was in the night and rain had started falling. The mother strained her ears and heard a faint cry. Out she went and picked up the boy, so happy he was still alive. There was only one option left for this woman - to leave her matrimonial home. It was a traumatic experience that spanned through many years of struggle, but she took care of the child and he became a preacher of the gospel.